Welcome to my first column at Illustration Age. In the coming months, I will be writing on a variety of topics related to life as a freelance illustrator. First things first, this is NOT an argument for or against art school. That is a debate that has been going on for a long time and not one that I am going to get into here. 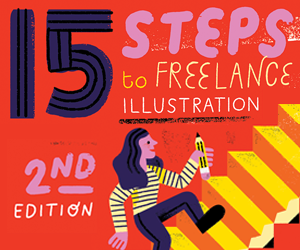 This post is for those who are interested in building a freelance illustration career without going to art school, whether or not it is by choice. In all honestly, I often wish I had had the chance to go to a great art school for undergrad (I went to a small, private liberal arts college in the midwest) and even more often I wish I could afford to go to grad school and get an advanced degree in illustration. For many reasons those things weren’t and are not currently possible for me. What I have been able to do is build a successful freelance illustration career without all that. Rather than tell you what you should do, I am going to show you the path that I took to get where I am now. In 2009 I was living in New York City with my soon-to-be husband and working a 9-5 job that was not satisfying at all. It was a good job with good people, but that’s all. I was itching to move on, but I wasn’t sure where I would go or how I would get there. I had a BA in Studio Art and had a weird resume that wasn’t easily categorized. The decision to pursue illustration came very quickly and unexpectedly. It was a combination of discovering Twitter, learning that a colleague was doing freelance illustration on the side and stumbling on the Escape From Illustration Island podcast. Listening to Thomas James’ interviews with other illustrators and art directors had really piqued my interest. Growing up, I hadn’t known that illustration was a career path I could have taken and as I listened it started to feel like that was the only career path I should have been considering all along. I had no portfolio to speak of and didn’t really know where to start. I set up a time to meet with my colleague who was also an illustrator and she was generous enough to walk me through what I would need to do in order to start pursuing illustration in earnest. I needed to build a portfolio of work that was relevant to the type of illustration I wanted to do, which included a proper website. I needed to think about promotion – sending postcards, making phone calls, setting up visits with art directors, sending emails (which was less popular at the time), etc. I had so much work to do. I was building a portfolio from scratch. I think there were parts of me that gave up on the idea, a little bit. Despite being overwhelmed and a little dejected, I simply put one foot in front of the other. I started making work while bingeing EFII. Soon enough I discovered other illustrators and related podcasts on Twitter and began to build a bit of a support network and found people who would critique my work honestly. Regardless of whether or not you go to art school, the ability to accept good, honest critique of your work without letting it discourage you is crucial for success. Then I got married and my husband and I moved to Denver, CO so that he could pursue his PhD. This meant that I would have to quit my job and it was a golden opportunity to jump into a freelance career. It was HARD. There were ups and downs, but mostly downs for a long time. I received my first editorial commission from HOW Magazine and I was thrilled. I naively thought that would mean more work rolling in, but it didn’t. Even after the piece was published I heard an awful lot of crickets. We were in a new state where we knew very few people and not having a job meant that I spent very little time with anyone other than my husband. Depression that had always been there off and on became a real problem. Eventually medication and becoming a part of the poetry community in Denver (my husband is a poet) allowed me to get my depression under control but I still wasn’t making much money from my work. Illustration is a constant hustle. My career has built up very slowly. I did a lot of personal work and a lot of client work that will never see the light of day, but that’s what it takes. Each piece builds on the last. And some pieces will crumble and you’ll feel like it’s all over, but you have to rebuild – every time. After 3-4 years I started seeking out educational opportunities that I had access to and that I could afford. I took an online class with TutorMill, which was incredibly educational. A couple of years after that I took illustrator Daniel Fishel’s Independent Study online (twice!). Naturally, these things cost a few hundred dollars each time, but that is a far cry from the cost of art school. And, for me, what I really needed was someone to give me assignments with deadlines and then critique my sketches and critique my finals. I’ve also had other, more experienced illustrators mentoring me and encouraging me along the way. 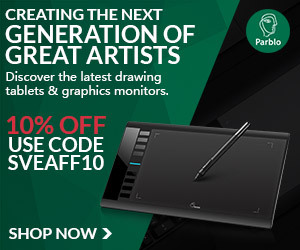 Just because you can’t afford to go to art school in the traditional way does not mean that you can’t give yourself a great education in illustration or that you won’t be successful. 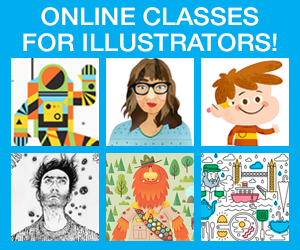 There are so many resources out there, including Illustration Age, that you can take advantage of with a simple web search – many of them for free. If you are dedicated to do doing the work, these resources can be all you need to build your portfolio, gain business sense and find new clients. The most important advice I can give to anyone, regardless of education is to be dedicated and be sure to educate yourself on the business as much as the art. Make connections wherever you can. 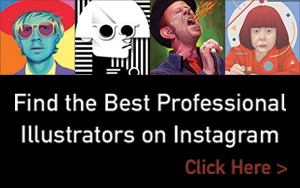 Thanks to social media, it’s easier than ever to make connections with other illustrators and art directors. Look for events like ICON or the American Illustration Party and meet people in-person. Build real relationships, especially because this career can be isolating at times and you will appreciate having those relationships when times get hard. Go to art school if you want to go to art school and can afford it, but you can do this without it if you are determined to do it. Michelle Kondrich is a commercial artist and animator specializing in editorial illustration. She is also skilled at creating animated GIFs, storyboards, and whiteboard animation/video scribes. Her work gives a narrative feel to even the most conceptual ideas and she is passionate about telling her clients’ stories in often surprising ways. Michelle is the creator and host of Creative Playdate, a podcast for people pursuing creative careers while raising children. Thank you, Sarah! Getting your portfolio up and out there is the most important part! Make sure those that might hire you can find you and get in touch easily. Good luck! Thanks a lot for the text and for having the courage to tell your story, it’s really encouraging and nice to know that it did not happened over one night, or that the whole process was just too easy for everyone. I’m right now just finishing my a BA at biology, and deciding to change my route and go forward illustration/animation, and it really takes a whole new mindset not to give up hahaha. It’s comforting to ear that a community and giving up fears is the way to go. Good for you! Do you do any science illustration? It seems as though there is always work for scientific illustrators. Either way, don’t be discouraged if the growth is slow. In a few years you will look back and be surprised at how far you’ve come. Yes! And you gave me a great idea to put that back on my portfolio. I think that nowadays maybe not as much work as some years ago, it seems that now with illustrator/corel/gimp/etc getting popular, I’m seeing some biology students having now to learn how to vectorize some sketch done over a scientific photo at theirs lab, I even gave two workshops about that since advanced degree ones don’t know how to do neither. This is incredibly encouraging and validating to the experience of constantly feeling like a failure, pursuing something like this is hard work. I am glad some people have found some amount of success doing it and I hope I can too one day. I think most of us would love to go to art school if we could afford to (and not just financially), as staying motivated when you are self-taught is a whole other level of discipline. I’ve been working on building my skillset and only recently started trying to pound the pavement, as it were. This post reiterated some of the necessary steps I need to take to get my work in front of editors. Thanks for sharing your experience of the industry. This was a really interesting read and it’s really helpful to hear what other illustrators have been through. As a self-taught illustrator it’s reassuring to hear that others have also followed less formal paths. I have recently just graduated, only I feel my course was the biggest waste of time. I don’t really have much of an idea on how to get exposure for my work other than Instagram. What an encouraging post!! I’m finding more of my favorite indie writers and artists on Instagram these days. Enter your email address to subscribe to daily or weekly updates by email.